The New England Aquarium is at it again! We're bringing one of our beloved penguins to a new location in the city of Boston this weekend for another fun installment of the Penguin Pursuit contest. The race is on to find our bird this Saturday, August 7, from 1 p.m. to 2 p.m. If you want to take part in this exciting game, you must figure out the clues posted right here. (See below!) Then just show up at the penguin’s location geared up with your camera, friends and family to meet the penguin and take pictures with this adorable bird. To help find him, we've shared five clever clues that will help you track down the penguin’s next location. Once you have figured out the clues there is no way you can miss him! This tower was the world's tallest building outside of New York City when it was completed in 1965. It contains over 4,000 windows. This complex is home to the largest parking garage in New England. It has space for over 3,660 cars! Boston's only observatory sits on the 50th floor of this famous landmark, offering 360-degree views to over 200,000 visitors annually. With over 60,000 visitors a day, the shopping center in this building is ranked one of the top five in the country. Visitors can enjoy free ice cream while watching bands play outside at this Ben & Jerry's Fair Trade Music Festival location. The quest to find the penguin begins NOW! The Penguin Pursuit has already led a large group of finders to several different locations across the city. 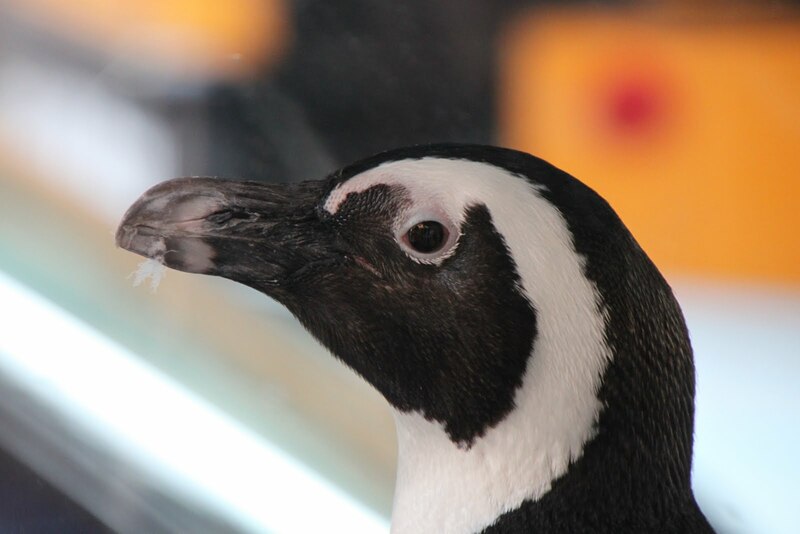 This very special African penguin first visited Faneuil Hall, then he visited the Children’s Museum. And last week, he went to Fenway Park! Roast Beef the penguin draws a crowd at Faneuil Hall. Kids loved meeting Roast Beef and his mascot companion at the Children's Museum. Roast Beef and the gang met even more new friends outside Fenway Park! Penguin Pursuit is a fun learning opportunity, as well as a chance to win free prizes! Many of the people who have participated in the Penguin Pursuit contest won free prizes and, of course, met one of the Aquarium's most beloved penguins! Educators from the New England Aquarium were also on site to answer any question about the bird and its species.